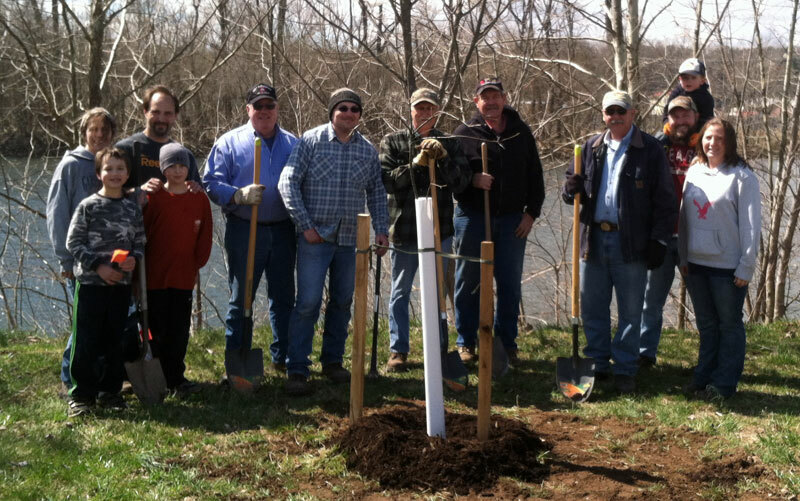 The WV Department of Natural Resources, in partnership with the Potomac Highlands Shrine Club, worked together on Saturday, April 5th to plant 16 shade trees on the WV-DNR Potomac River access in Petersburg, WV. 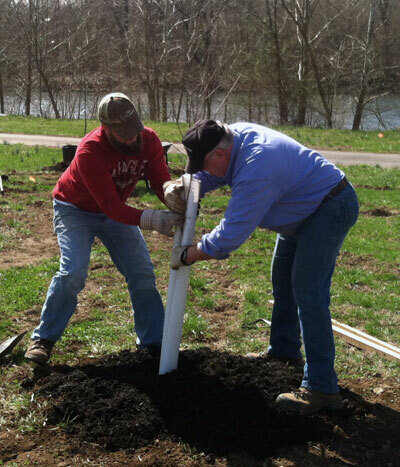 Altogether, there were 22 volunteers that worked on this project for about 3 hours that morning. 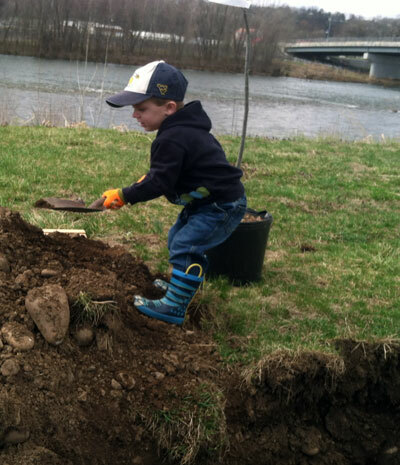 Once mature, these trees will provide critical shade for people to enjoy the river, help reduce soil erosion, and will increase tree canopy in Petersburg.